The 2020 North America Flat Earth Tour is currently in the development stages. 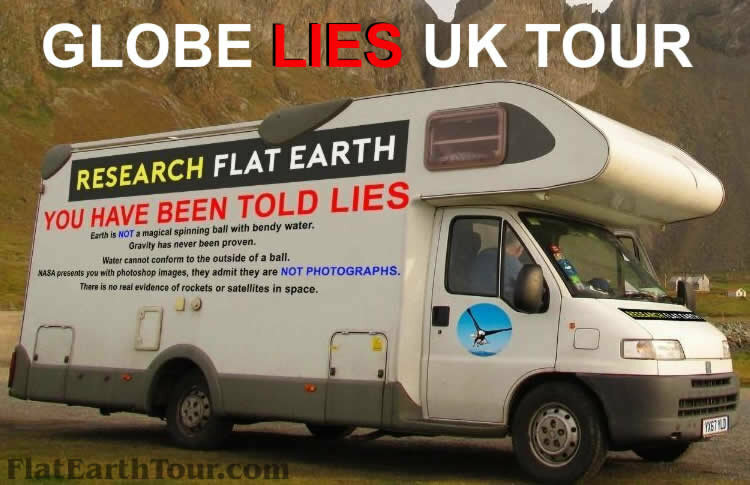 Each tour stop will have Flat Earth Activist* demonstrating the Flat Earth on Mobile Billboards and handing out Flyers and Cards. The Tour is being planned to cover all 50 States and parts of Canada. Depending on the State/Province there could be more than one location. *Not a public speaker, no problem, we'll also need people handing out information.